PSNews - Under the sound leadership of the Party, the State, PetroVietnam (the Vietnam Oil and Gas Group) with its restless innovation and strong will gained numerous great achievements in all fields of its operation in 2018. The staff of PetroVietnam, considered as the "people who search for fire", tried their best in 2018. Below are the five imprints PetroVietnam left last year. 1. PetroVietnam in 2018 basically streamlined its organizational structure of the parent company for effectiveness and efficiency and became the first State-run company whose Party work organs and professional offices with similar functions were merged. PetroVietnam in 2018 basically streamlined its organizational structure of the parent company. The restructuring in terms of its organization and personnel was an urgent need to strengthen and enhance the management effectiveness of PetroVietnam, helping it respond to new challenges and meet its development goals. The company last year completed and promulgated its Working Culture Handbook for petroleum staff; and a set of rules on working ethics for leaders and managers of PetroVietnam. Accordingly, the "fire" of the oil and gas sector has been passed from generation to generation of its employees, creating the identity for the sector’s culture and values that every oil and gas worker must treasure and develop. 2. PetroVietnam in 2018 exceeded all production and business targets set out by the Government, including increases in oil and gas reserves, production and contribution to the State Budget. Nghi Son oil refinery and petrochemical complex. Its total exploration volume reached 23.98 million tons of oil equivalent, exceeding the full-year target by 5 percent. Its urea production was estimated at 1.63 million tons, overshooting the target by 5.7 percent. PetroVietnam’s total revenue stood at VND 626.8 trillion, exceeding the target by VND 96 trillion or 18.1 percent while it contributed VND 121,300 billion to the State Budget, up by 64.3 percent against the plan and up by 25.9 percent from 2017. 3. PetroVietnam in 2018 successfully launched the Initial Public Offerings for three of its sub-companies, including the PetroVietnam Power Corporation (PV Power), PetroVietnam Oil Corporation (PVOIL) and Binh Son Refining and Petrochemical Joint Stock Company (BSR). The three companies, which account for a large proportion of PetroVietnam's capital, were worth VND89 trillion, according to auditing results. After the IPO for these companies, PetroVietnam collected VND16.5 trillion, a surplus of VND7.5 billion with the State owned property. With an additional gain from the withdrawal of the State’s holding in these companies, PetroVietnam raked in VND18.6 trillion from the privatization. After going public, all of the three enterprises are all operating well. 4. The next remarkable achievement obtained by PetroVietnam in 2018 is that it has put the Nghi Son oil refinery and petrochemical complex into commercial operation. The USD9 billion facility capable of processing 200,000 barrels of crude oil per day (10 million tons of crude oil per year). Hai Thach – Moc Tinh oilfield. The Nghi Son plant is one of Vietnam’s key national oil and gas projects. The commercial launch of the Nghi Son plant also has made much sense to national development in terms of politics, economics, society, security and defense, contributing to ensure national energy security. 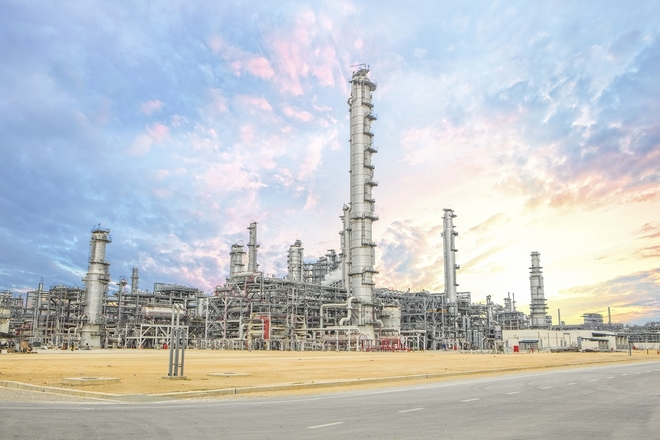 The Nghi Son plant, together with the Dung Quat oil refinery in Quang Ngai province, will collectively provides about 80 percent of the demand of the domestic market for petrol and other oil products, contributing to reducing dependence on imported petrol and other oil products. 5. 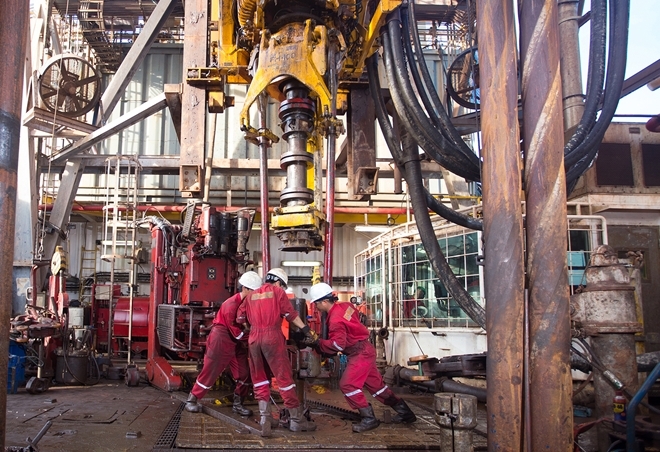 A number of PetroVietnam-invested projects that were previously considered ineffective have made positive changes in production and business. These include Dinh Vu Petrochemical & Fiber Petroleum JSC- PVTEX, Dung Quat Bio-ethanol Plant, and Binh Phuoc Biofuel Plant. The Central Technology Platform No. 2 at Bach Ho Oilfield. After more than 6 months of resuming its operation, Dinh Vu Petrochemical & Fiber Petroleum JSC- PVTEX introduced to the market 2,200 metric tons of high-quality draw texturized yarn (DTY), which have received positive feedbacks from customers. Meanwhile, the Dung Quat Bio-ethanol Plant also renewed its stable operation and is now making products of good quality. 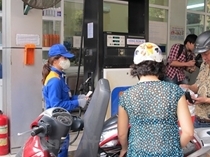 Binh Phuoc Biofuel Plant completed its regular maintenance and is ready to resume production.